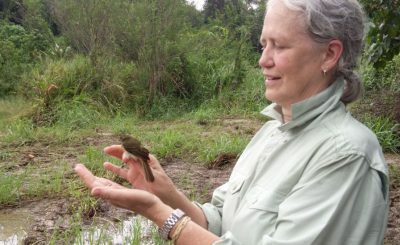 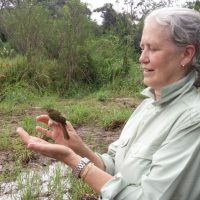 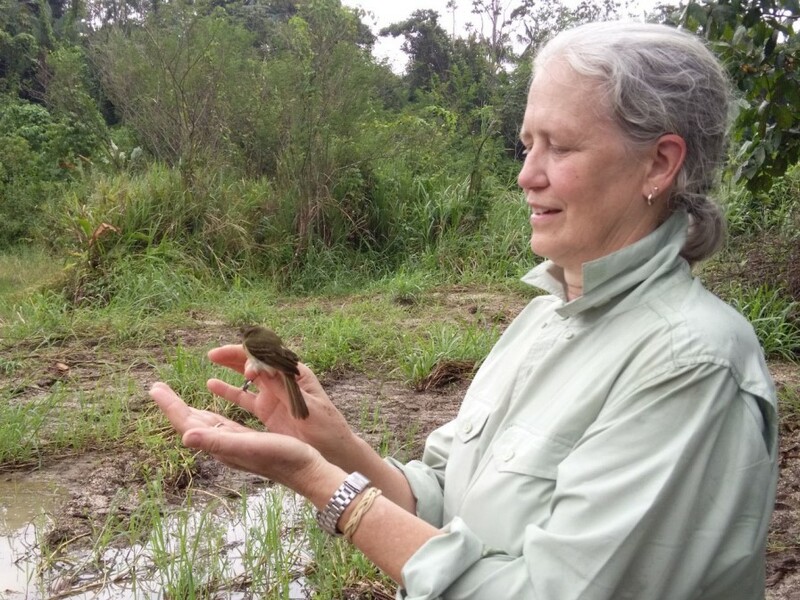 Artist Isabella Kirkland studying Surinamese fauna during a bird banding research outing. 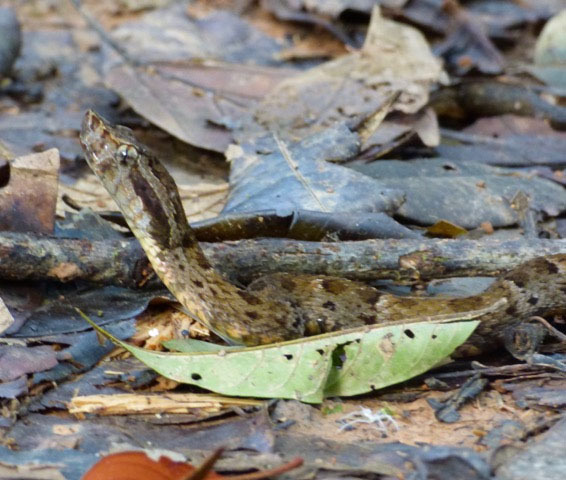 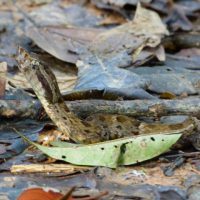 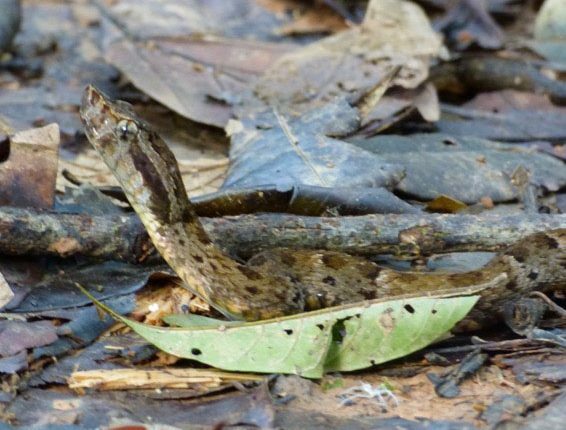 Photograph taken for a study of a fer-de-lance, the snake encountered by Kirkland and Sean Dilrosun. 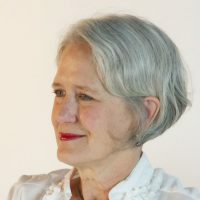 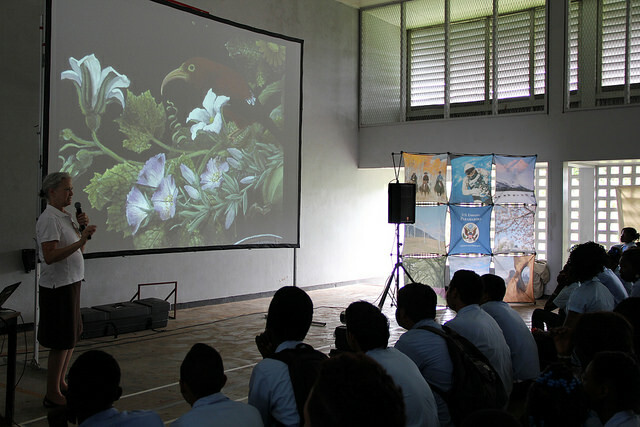 Students in Moengo attend a presentation from visiting artist Isabella Kirkland. 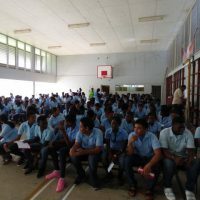 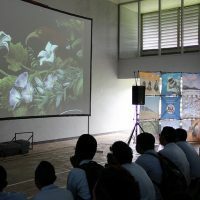 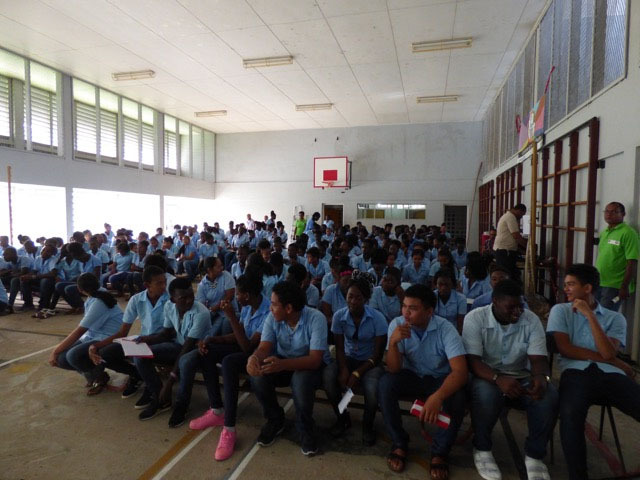 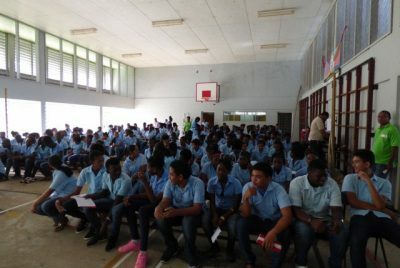 As part of Embassy Suriname’s Eco Film Festival, artist Isabella Kirkland talks to a group of students in Moengo, two hours southeast of Paramaribo.